With the launch of his first fashion collection in 2004 Philipp Plein also created the PHILIPP PLEIN brand which still persists as of today.In 2006 the accessories line was introduced and in 2008 the "Couture" collection which is also was launched. 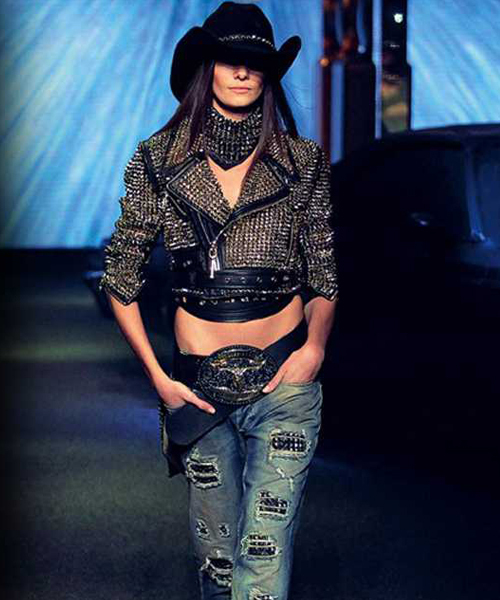 In 2008 Philipp Plein presented his "heavy metal" collection on the occasion of "Germany's Next Top Model" fashion show presented in Barcelona by Heidi Klum. In 2009 he collaborated with Mattel and presented the PHILIPP PLEIN Barbie doll during Barbie's 50th Birthday celebrations at the Nuremberg Toy Fair on 4 February 2009. In the same year, the first mono-brand store was opened in Monte Carlo, and the first commercial showroom in Milan.